A mini-storage facility is being proposed in Carmel Valley without the necessary environmental review required by CEQA. The proposal is inconsistent with the Carmel Valley Master Plan which requires a "limit on development" in the area based on the fact that the Hatton Canyon Bypass has not been constructed. Monterey County is the lead agency. The project applicant is Mid Valley Associates. The project would create 83 self storage spaces in the Mid-Valley Shopping Center. The project is governed by the policies of the 1982 Monterey County General Plan and the Carmel Valley Master Plan. The project was approved by the Board of Supervisors. 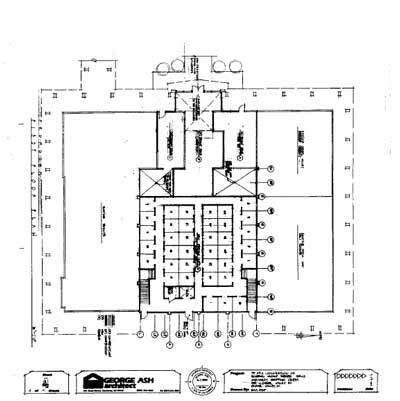 This map shows the proposed layout of the Mini-Storage Facility. Compliance with the California Environmental Quality Act (CEQA) will require the preparation of a full or focused EIR. The Carmel Valley Master Plan contains a policy [Policy 39.1.6. (CV)] which requires the Board of Supervisors to "limit development" in the Carmel Valley, based on the fact that the Hatton Canyon Bypass has not been constructed. To date, the Board has not complied with this Master Plan policy, and has not taken any action to limit development.